In a large bowl combine the kales, red bell pepper, and broccoli slaw; toss well and set aside. Combine dressing ingredients in a blender or mini food prep or food processor and process until creamy and smooth. 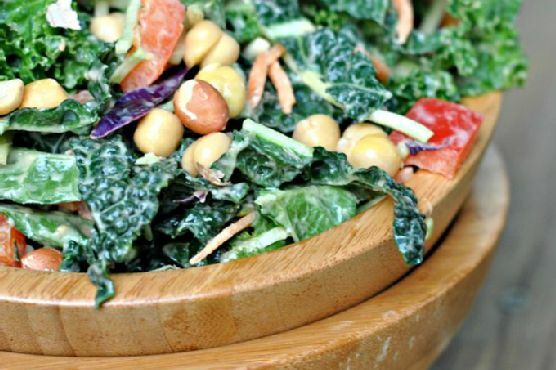 Drizzle dressing over salad and toss well.Top salad with chickpeas and peanuts; serve immediately.